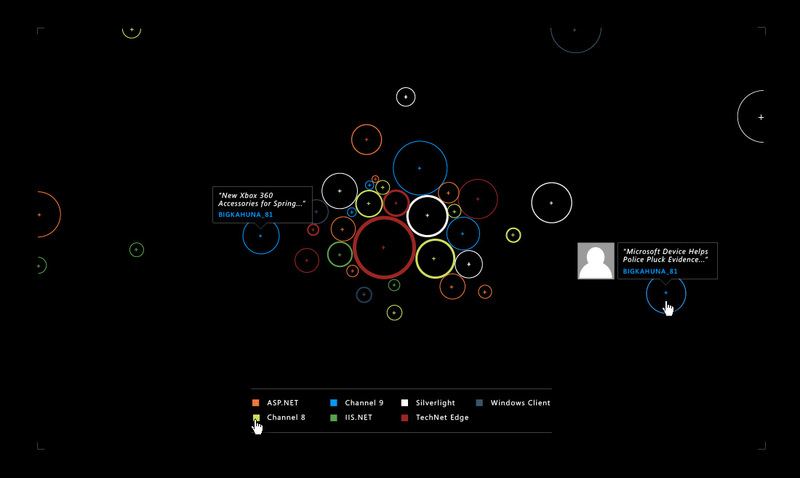 To visually demonstrate the activity among Microsoft’s various communities, Belle & Wissell designed a series of visualizers with a companion style guide. 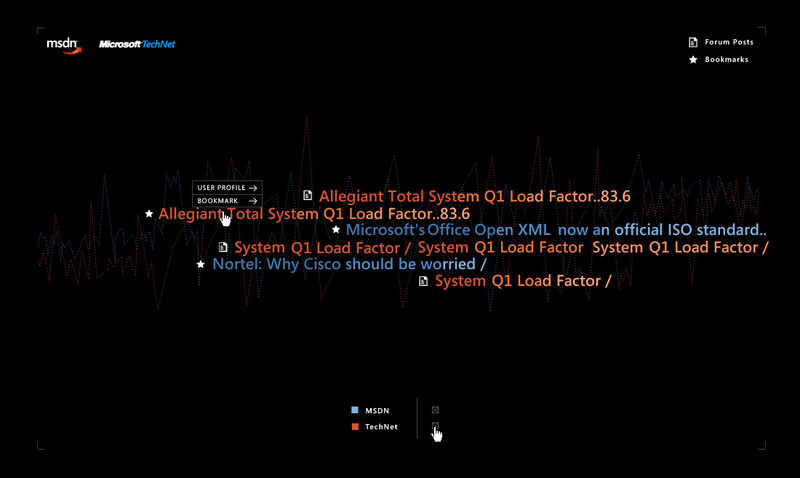 Each visualizer uses different approaches in presenting its data sets and represented communities. Final animated versions were developed in Silverlight by project producer Captive Orbit. 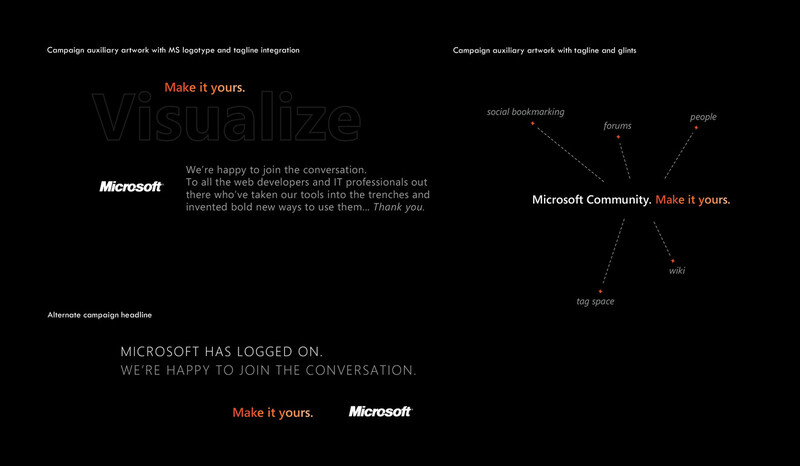 Visualizer artwork was adapted to a style guide that informed Microsoft’s integrated print and online marketing campaign. 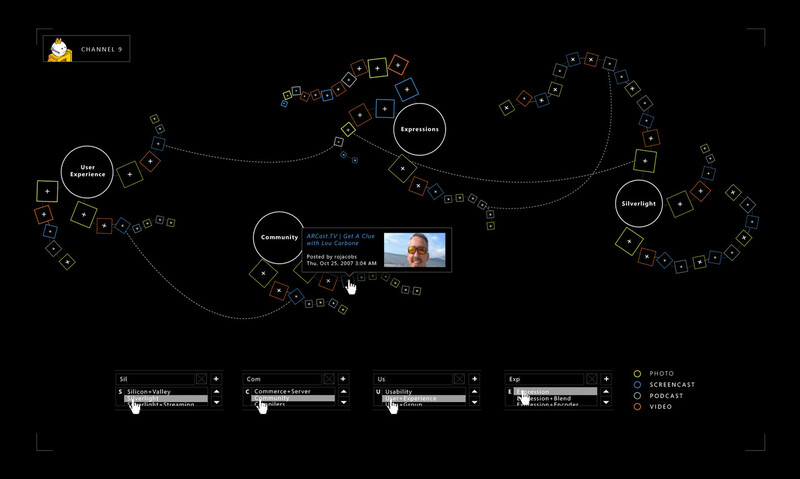 Shapes, typography, and movement help users visualize the communities’ activities, member posts, and social bookmarks. Visualizers were first presented at the 2008 TechEdge Conference.